Turack Chiropractic was founded on principles of function within the human body. Movement and nutrition are two of the greatest aspects that affect our quality of life as well as the length of which we live. Without movement, there is no life, and without nutrition there is no health. A healthy life is composed of proper and adequate movement and nutrition. Turack Chiropractic focuses on these principles and educates all patients on the importance of such. Proper movement begins at the core of our bodies and the core of our body is our spine. It is our lifeline. If we do not have adequate movement in the joints in our spine we will develop problems further down the line (shoulders, elbows, wrists, hips, knees, ankles). Imagine a house with a broken foundation. You can dress it up with all the paint and new siding that you want, but that house will never be worth a dime with a broken foundation. 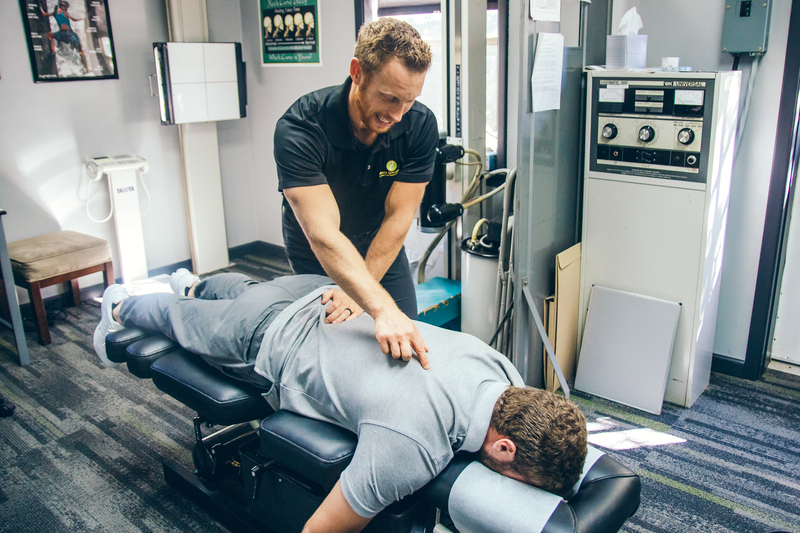 Our practice uses an integrative form of chiropractic care that incorporates a variety of manual adjusting and soft tissue techniques that are custom tailored to each patient’s specific condition. Our office specializes in the treatment of various physical conditions. Listed below are some of the most common conditions we treat. The treatment implemented by our physicians is very individualized and varies patient to patient. This may include soft tissue work such as trigger point/deep tissue therapy and Graston technique, physical therapy exercises, manual stretching and will almost always include a full spinal adjustment. Some patients may find relief after their first appointment, while others may take several treatments to feel a significant difference. Keep in mind, often the injuries we incur are from years of repetitive movements with poor form and posture. These kinds of issues may take longer to recover from and will require active participation in home care exercises. What Does a Typical Chiropractic Appointment at Turack Chiropractic Look Like? Turack Chiropractic is located in Wexford, Pa. and focuses on chiropractic care and functional medicine. If you’re interested in setting up an appointment, please contact us at 724.900.3499.